Asbestos is a naturally occurring fibrous mineral that was used extensively in construction in the 20th century due to its excellent insulation, fire resistance and strength-giving properties. Asbestos can be lethal when inhaled and causes asbestosis, cancer of the lungs and mesothelioma, normally many years after the initial exposure. There are three main types of asbestos – blue, brown and white. All are dangerous and cause disease, but blue and brown asbestos are significantly more dangerous than white. 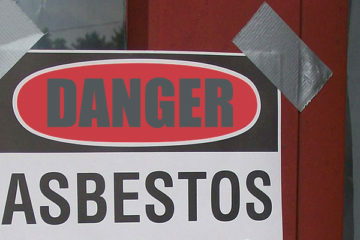 The use and importation of blue and brown asbestos was banned in 1985 and white in 2000. It is estimated that 75% of schools still contain asbestos, and it can be found in walls, floors, ceiling tiles, roofs, and many other places. The NASUWT strongly opposes the current management in situ approach of the Health and Safety Executive, as the only safe asbestos is removed asbestos and we are campaigning for a programme of phased removal to ensure that all remaining asbestos in schools is eliminated as soon as possible.